Putting Music on Blog is not something very commendable, but there are models that players may be worth by being discreet, easy to customize and will not begin playing automatically. SCM Music Player is a great model that can be incorporated both in Blogger, Tumbler or WordPress.org, running audio from any tab, including links to YouTube videos, creating playlists customized and unique to your blog. Now the question is, how to Add SCM Music Player to Your Blog? 1. 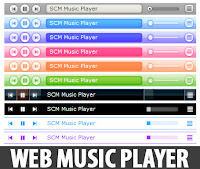 Go to SCM Music Player's official website http://scmplayer.net/. 5. Now Select Done to proceed, and copy the code which they will provide when you click on Done. 3. Now Save it and enjoy. Don't forget to comment.